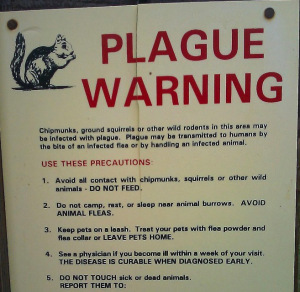 Cases of Bubonic Plague are infrequent in the US but the number of incidents is higher than normal this year (2015) prompting an alert from the CDC. The alert is aimed at doctors and the public. Doctors follow CDC reports to help them diagnose diseases. The CDC report moves plague onto the Doctor’s lists of possibilities for people living in or visiting the affected area.